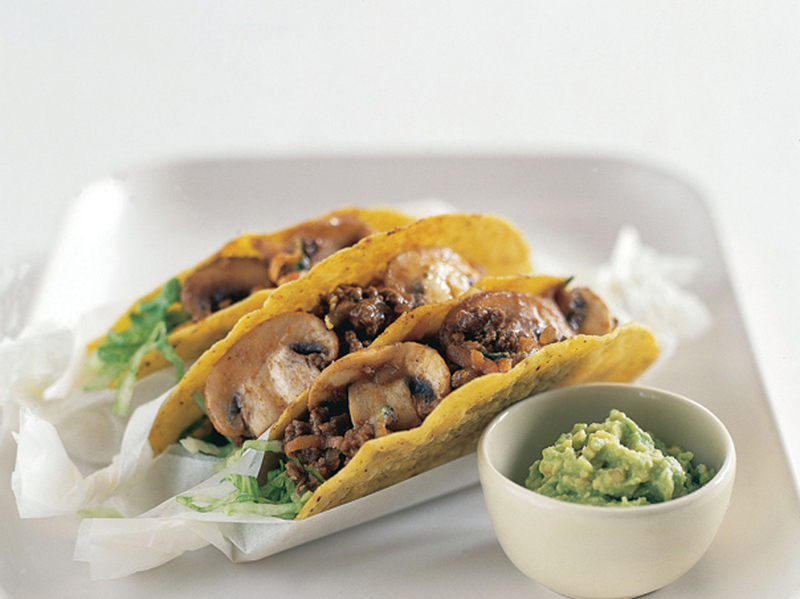 Tacos make a quick meal or great snacks. 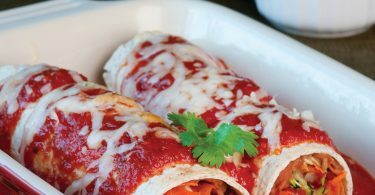 In this recipe grated vegetables replace the beef so it is a great way to increase vegetable consumption for your family. However, if desired, add beef as directed in the variation for Taco Salad. Heat the oil in a large non-stick frying pan over medium-high heat. Add onion and mushrooms; cook and stir for 3-4 minutes or until lightly browned. Add carrot, zucchini, taco seasoning mix and water, cook and stir to mix well. Lower heat to medium, cover and cook about 4 minutes or until vegetables are tender. Uncover and bring to boil until juices evaporate. 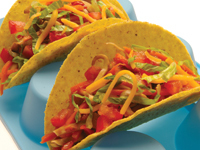 To serve, place about ¼ cup (50 mL) filling in each taco shell and top with lettuce and garnish if desired with tomato. Serve with guacamole if desired. Tips: To save time, buy pre-sliced mushrooms and grate carrot and zucchini in food processor. To warm taco shells separate and place the shells onto a baking tray and heat in 350ºF (180º) for 10 minutes or until hot. 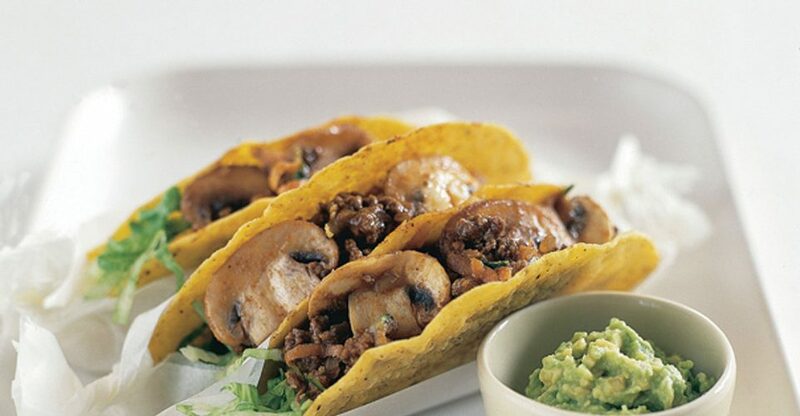 Variation: Taco Salad: Reduce oil to 1 tbsp (15 mL); add ½ lb (250 g) lean ground beef with onion and cook, stirring often until beef is browned; then add mushrooms, carrot and zucchini and continue as directed above. Serve hot mixture over salad greens; top with sour cream and chopped green onions. Garnish plate with tomato wedges and taco chips.